We have selected to work with a set of specialist partners with local knowledge and a top level of service to ensure your holiday is one to remember. 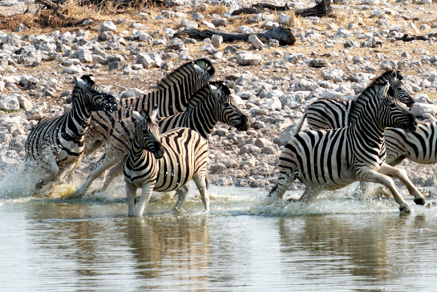 In South Africa the choice of tours and safaris are endless. South Africa is home to approximately 175 endemic bird species, as well as hundreds more species. Notable endemic varieties include the Black Oyster catcher, Blue Crane, Cape Parrot, Cape Vulture, Forest Canary, Ground Woodpecker, Jackal Buzzard, Knysna Turaco, Namaqua Sandgrouse, Protea Seedeater, Southern Bald Ibis, Southern Pale Chanting Goshawk, Whitebacked Mousebird, and the Yellow-breasted Pipit. There are about 230 mammal species to be found in South Africa, which include a collection of impressive predators. 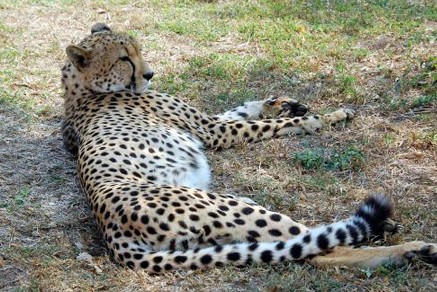 These make for fabulous sightings on any game drive or safari. Of these hundreds of species, there are two that are critically endangered (De Winton’s Golden Mole and the Riverine Rabbit) and 11 that are endangered (including the African Wild Dog, the Mountain Zebra, Sei Whale and Blue Whale). South Africa has a coastline of almost 3 000 kilometres long, with numerous dams, lakes, rivers and streams; South Africa has plenty to offer the fishing enthusiast. 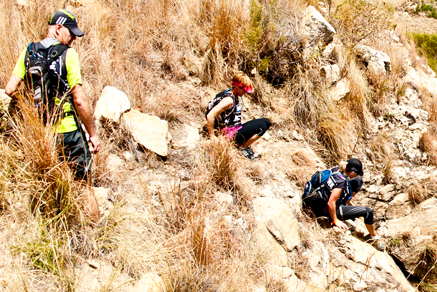 From game fish in two oceans to trout in mountain streams, there is something to challenge and entertain everyone. Many of South Africa's best known fishing spots offers good fishing and also include some of the most beautiful places in South Africa. 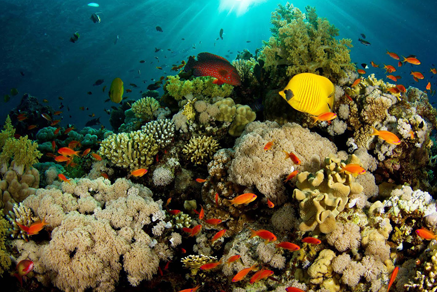 South Africa’s coastline of almost 3 000 kilometres long, and numerous diving reefs South Africa has plenty to offer the scuba enthusiast. There is something to challenge and entertain everyone. 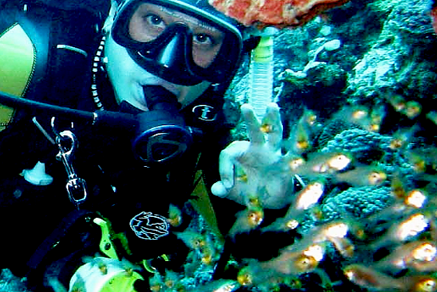 Many of South Africa's best known diving spots offers good diving and also include some of the most beautiful places in South Africa. We have selected to work with a set of specialist partners with local knowledge and a top level of service to ensure your holiday is one to remember. In South Africa the choice of tours and safaris are endless. 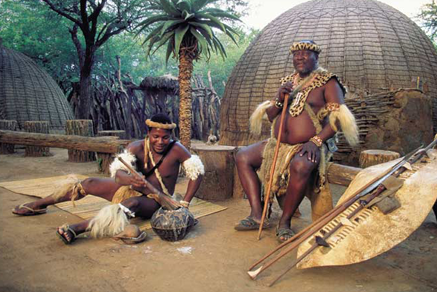 Cultural trips, tours, and safaris focus on the cultural learning experience. You will meet a variety of people very different from you and learn from them. Explore the Zulu and Shangane cultural diversity - artistically, musically, spiritually, and through conversation and interaction. Experience the traditional way of living. Experience the true magic of the African Bush on foot. The Kruger and Hluhluwe Umfolozi Game Reserve Hiking Safari is perfect for active and adventurous travellers who want something different out of their bush experience in Africa. Get up close and personal with Africa's wildlife while treading the same path's our ancestors did. This affordable Safari takes place in the Greater Kruger National Park and Hluhluwe Umfolozi National Park, the controlled access to these Big Five Parks ensures privacy. Sleep under the African Stars in an unfenced bush camp within the exclusive game reserves. This is the "real" bush with no modern world to interrupt your safari adventure. A perfect getaway into the wild!